An ITT of 27 kilomters will decide the overall winner of this edition after five inconclusive stages. 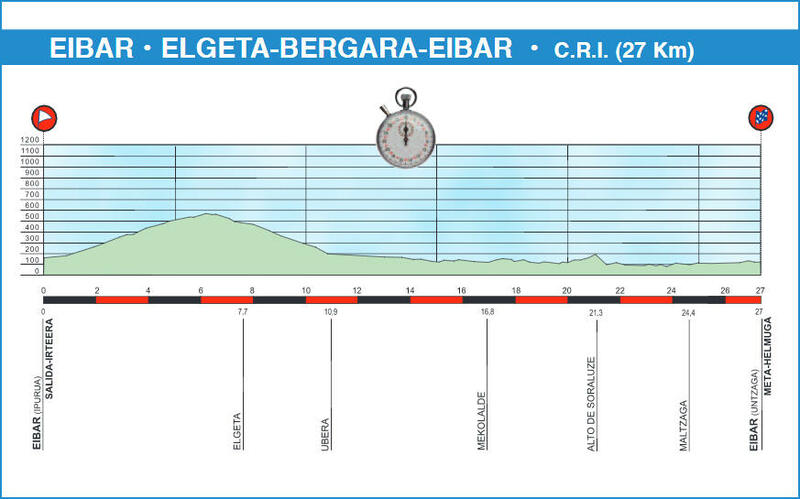 The Elgeta climb happens first, so riders will need to parcel out their effort in light of the subsequent long journey back to Eibar, during which the route moderates. Notes: There’s an intermediate time check at Km 12.7. Riders will negotiate a lit tunnel at Km 24. The final three kilometers slope upward gently until the last 500 meters, which are almost flat but trend slightly downhill.